EMERGENCY ROADSIDE ASSISTANCE, CALL NOW! EXPERIENCED MECHANIC AVAILABLE 7 DAYS A WEEK, 5:00 AM TO 9:00 PM. We will come to you to and provide on-site repairs, saving you a towing fee! SAVE MONEY WITH MOBILE MECHANICS! Save money and learn about your vehicle at the same time! 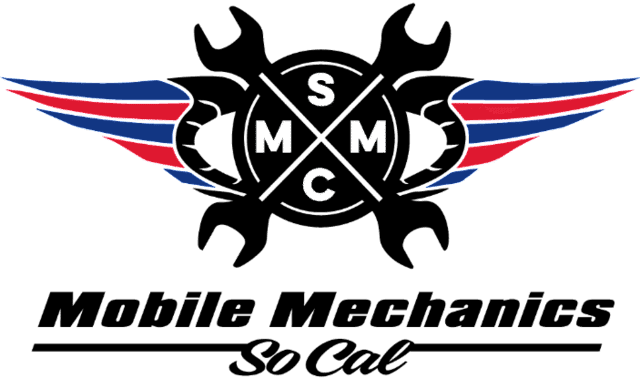 Call MOBILE MECHANICS SOCAL. We bring the auto and RV repair shop to you, saving you a towing bill. We can perform most repairs right on-site, including RV repairs, and you can watch and ask questions if you’d like. We’ve been in business since 1984! We service all types of vehicles, foreign and domestic. Our certified technicians will come to you wherever you are and get your vehicle back on the road quickly. We perform all types of repairs on cars, RVs, trucks, and trailers. We do quality work in emergency roadside situations – wherever you need the job done. Yes, we do CHECK ENGINE LIGHTS! Yes, we do PREVENTATIVE MAINTENANCE!